The French variation of roulette is favoured by many fans of the popular game of chance and there is a good reason why – out of the three widespread variants, French roulette has the lowest built-in house advantage which certainly renders it a more lucrative option than its European and American cousins. Yet, many players are attracted to the game due to its very “Frenchness”. After all, France is the country where this classic casino game emerged for the first time. 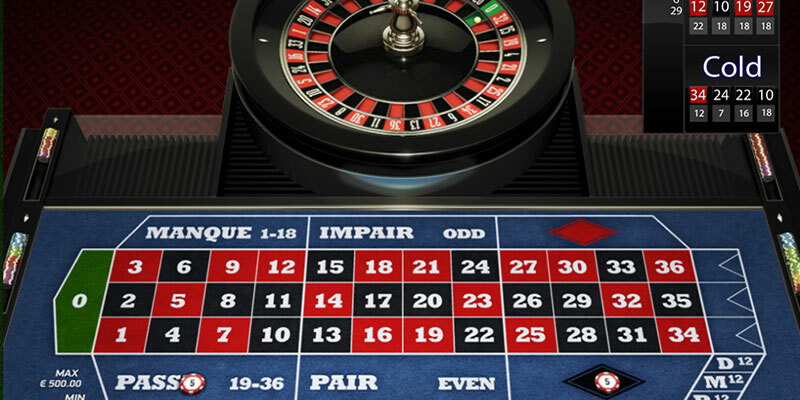 In fact, the name “roulette” itself, when translated from French, means “little wheel”. French roulette follows roughly the same rules as European and American roulette, but there are two exceptions – the additional La Partage and En Prison rules apply. In addition, French roulette allows for so-called French or Call bets to be placed. While French roulette is also a single-zero game, similarly to its European counterpart, it features a different table layout. Read on to learn more about the game’s peculiarities, its house edge, and the types of bets you can place. The French variation of the game is played on a standard European wheel which has a total of 37 pockets. One of the pockets is coloured in green and contains the zero. The remaining pockets are coloured in red and black and contain numbers 1 through 36. The numbers on the wheel are not displayed in a consecutive order. In fact, the pattern they follow is seemingly random and differs from that on the American roulette wheel. However, it does not take long for one to notice the red and black numbers on the wheel alternate. Additionally, each pair of even numbers is followed by a pair of odd numbers. The few numbers located in close proximity to the green zero pocket are the only exceptions to this rule. The table layout is where the real difference lies. First of all, the wheel is positioned at the centre of the table with betting grids located on both sides. In landbased venues, the table cloth on French roulette tables is usually red, but this is not always the case when one plays the game online. The betting boxes where outside bets are placed are located on both sides of the main grid containing the numbers for inside bets. The two boxes, where bets on colour are made, are represented by red and black diamond shapes. Half of the numbers on the layout often are not actually coloured in black but are still regarded as such. The French table layout is easy to distinguish because the labels in the betting boxes and all other wordings are strictly written in French. Thus, Odd/Even bets are written as Impair/Pair, Low/High bets are worded Manque/Passe and occasionally, the Red/Black betting boxes may contain the labels Rouge and Noir. The three boxes where Dozen bets are placed are represented as P12 (premiere douzaine or the first dozen), M12 (moyenne douzaine or the middle dozen) and D12 (derniere douzaine or the last dozen). Call bets are placed in a specific section of the layout, known as the racetrack. Usually, this section is separated from the main betting grid. As was mentioned earlier, we can distinguish two major differences between French roulette and its American and European counterparts. In French roulette, the La Partage and En Prison rules are applicable which is not the case with the other two variations. La Partage is literally translated as “sharing” or “dividing”. The La Partage rule states that if the ball lands in the zero pocket, all even-money wagers (Red/Black, High/Low and Odd/Even bets) are automatically split in half. Half of the original bet will be returned to the player while the remaining half will be forfeited by the house. Keep in mind this rule is applicable only when you make even-money bets. If you place a Straight Up bet and zero comes up, you will lose your entire wager. En Prison, on the other hand, literally means “in prison” when translated from French. This rule is applicable predominantly in landbased casinos in Monaco and rarely can be found in online French roulette variations. Provided that the En Prison rule applies at the table, the croupier places a marker on top of all even-money bets whenever the zero is spun. This way, the even-money wagers are “imprisoned” for the next spin of the wheel. If the player’s even-money bet wins on the next spin, they will have their original wager returned without actually winning anything. Anyone would agree this is still better than losing the entire wager. Player wagers £5 on Passe bet and £5 on Black bet. The ball landed on 0. When La Partage is applied they will collect £5. When The En Prison is applied their wager is “imprisoned” for the next spin of the wheel. Many roulette fans prefer to play the French variation of the game since it has the lowest possible house advantage. This can easily be explained with the fact there is only one zero pocket on the French roulette wheel. * Whenever the La Partage and En Prison rules apply, the house edge is further reduced to 1.35%. In comparison, the built-in house advantage in American roulette is the staggering 5.26% while that in European roulette stands at 2.70%. Many players favour French roulette because it provides with numerous betting options. Generally speaking, the types of bets in French roulette can be divided into three main categories – inside, outside and call (also known as racetrack) bets. Outside bets are typically recommended for roulette novices who are averse to risk. Your chances of winning with an outside bet are substantial but the payout will be humble. Red/Black bets are among the most popular options since with them the player is betting that the ball will land on their chosen colour. This type of bet has a payout of 1 to 1. Player wagers £1 on a Red/Black bet that covers the Red numbers. If the ball lands on a Red number they will collect a total of £2. Inexperienced players can test their luck by placing an Odd/Even outside bet. In this case, the player is betting the ball will land on an even or on an odd number. The payout is again 1 to 1. Player wagers £1 on a Odd/Even bet that covers the Even numbers. If the ball lands on an Even number they will collect a total of £2. The High/Low outside bet is another suitable option for beginners. Here, the player is betting on a high number (1 through 18) or on a low number (19 through 36). High/Low bets also pay out even money at a rate of 1 to 1. Then again, we have the Column bet which covers a total of twelve numbers in one of the three columns on the main betting grid. An example would be a bet on the middle column containing numbers 2, 5, 8, 11, 14, 17, 20, 23, 36, 29, 32 and 32. The payout for winning Column bets is 2 to 1. Player wagers £1 on a Column bet that covers the 2nd vertical line. If the ball lands on one of the 2nd column numbers they will collect a total of £3. With Dozen bets, players are betting the next number to be spun will be in their chosen dozen on the layout. Numbers 1 through 12 fall within the first dozen, numbers 13 through 24 fall within the second dozen, while the third dozen covers numbers 25 through 36. Winning Dozen bets also pay out 2 to 1. Bold players with more substantial experience often favour inside bets since they offer better payouts. Yet, the chances of winning with one such bet are smaller. Bets on individual numbers are called Straight Up bets and have a payout of 35 to 1. Player wagers £1 on number 9 (red). If the ball lands on 9 they will collect a total of £36. Then again, it is possible to make an inside bet on a combination of numbers. An example would be the Split bet, placed on two adjacent numbers on the betting grid, for instance, numbers 5 and 6. It pays out at the rate of 17 to 1. Player wagers £1 on a Split Bet that covers 5 (red) and 6 (black). If the ball lands on 5 or 6 they will collect a total of £18. With Street bets, the player is betting on a row consisting of three consecutive numbers. An example would be a bet on numbers 4, 5 and 6. It pays out 11 to 1. Player wagers £1 on a Street Bet that covers 4 (black), 5 (red) and 6 (black). If the ball lands on 4, 5 or 6 they will collect a total of £12. Another option is to place a Corner bet (also called a Square bet) which covers four numbers sharing a common corner like numbers 5, 6, 8 and 9. Winning Corner bets have a payout of 8 to 1. Player wagers £1 on a Corner bet that covers 5 (red), 6 (black), 8 (black) and 9 (red). If the ball lands on one of the chosen numbers they will collect a total of £9. The Six-Line bet covers consecutive numbers in two rows on the betting layout. An example of one such bet would be a wager on numbers 1, 2, 3, 4, 5 and 6. Winning Six-Line bets pay out at a rate of 5 to 1. Player wagers £1 on a Six Line Bet that covers 1 (red), 2 (black), 3 (red), 4 (black), 5 (red), 6 (black). If the ball lands on one of the chosen numbers they will collect a total of £6. Trio bets, on the other hand, cover three numbers but one of them is always zero. There are two possible combinations for a Trio bet, namely 0, 1, 2 and 0, 2, 3. Winning Trio bets pay out at the rate of 11 to 1. Player wagers £1 on a Trio Bet that covers 0 (green), 2 (black) and 3 (red). If the ball lands on one of the chosen numbers they will collect a total of £12. Finally, we have the so-called Four-Number bet which is exclusive to French and European roulette only and is not to be confused with the Corner bet which also features four numbers. The Four-Number bet covers the first four numbers on the betting grid, namely 0, 1, 2 and 3 and pays out 8 to 1. Player wagers £1 on a Four-Number Bet that covers 0 (green), 1 (red), 2 (black) and 3 (red). If the ball lands on one of the chosen numbers they will collect a total of £9. Call bets are placed in the racetrack section of the layout. The player is basically betting that the ball will land in a certain section of the wheel. Call bets are frequently referred to as French bets and can be divided into several categories. Voisins du Zéro, or Neighbours of Zero, covers all 17 numbers on the wheel which are located between 22 and 25. The player bets nine chips on a combination of split, corner and trio bets. Another type of call bet is the so-called Tiers du Cylindre, which translates as “a third of the wheel”. This type of bet covers all numbers, located between 27 and 33 on the wheel. Here, the player bets six chips since it is necessary to place six split bets to cover all numbers. Orphelins, which translates as “orphans”, covers eight numbers. Three of them (17, 34 and 6) are positioned to the right of the zero pocket, while the remaining five (1, 20, 14, 31, and 9) are located to the left of the zero pocket. The player needs five chips to make this bet. Wager £5 on Orphans Bet. If the ball lands on 1 (red) or 17 (black) you will collect a total of £36. Your total for the rest of the Orphans numbers will be £18. The Final bet (Finales in French) is made on numbers ending in the same digit. For instance, if the player wagers on Final Five, his or her bet will cover numbers 5, 15, 25 and 35. Final bets ending in numbers 0 through 6 require four chips. For numbers ending in 7, 8 and 9, the player will need only three chips since only three numbers on the wheel have 7, 8 and 9 as their second digit. Wager £4 on Final Bet on numbers 5 (red), 15 (black), 25 (red), 35 (black). If the ball lands on one of the numbers you will collect a total of £36.